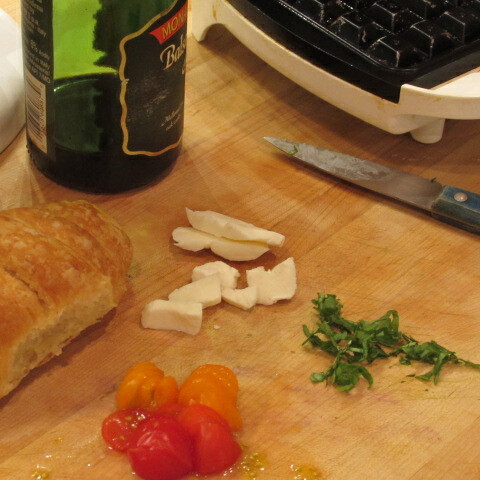 Caprese is one of my favorite flavors. 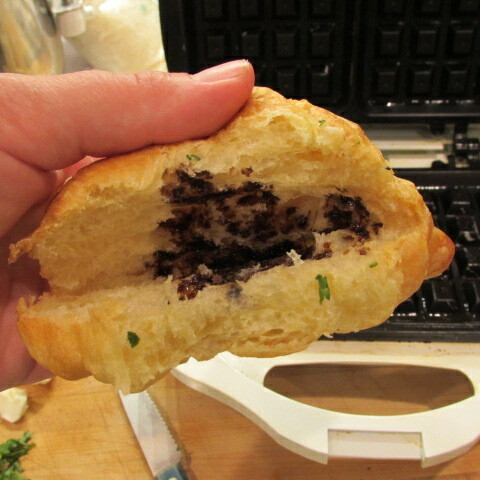 And if you put it in a croissant and smash it in a waffle iron, it takes on a whole persona of ooey, gooey and crunchy. Cut mini croissant in half, leaving one edge in tact (to hold your stuff). 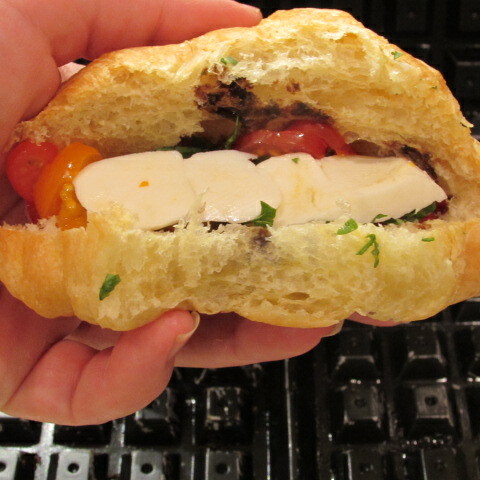 Drizzle a little balsamic vinegar on the croissant, layer in cheese, basil and tomato and sprinkle on black pepper. 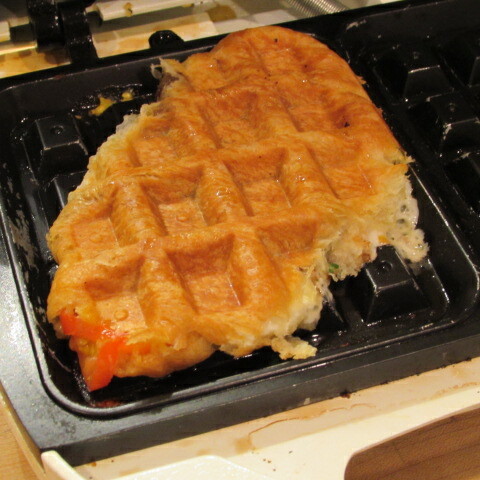 Cook in waffle iron around 2 minutes or until golden. Enjoy! 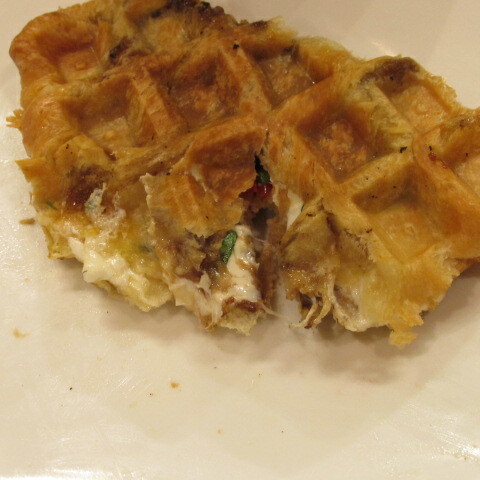 Tags: caprese waffle, easy appetizer, food, hand held food, with images. Bookmark the permalink.